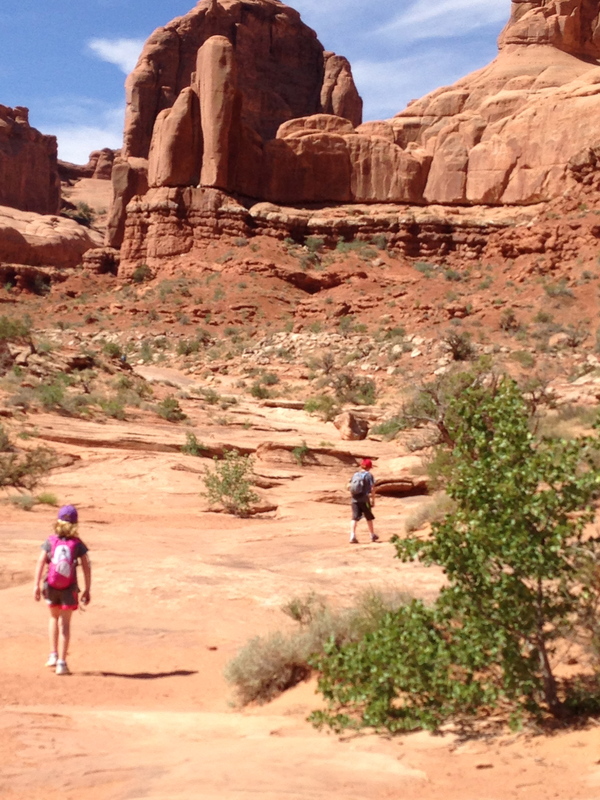 I took my kids to Arches National Park. We hiked Park Avenue (so named because the red rock is as high as sky scrapers on both sides of the path). It is down hill at the beginning but flattens out quickly. The hike is .9 miles one way. We probably did .75 and turned around due to lack of shade. 10 yr old son: I like this place way better than New York City. There are too many people there. 8 yr old daughter: New York City is WAY better. I hate this place. There’s too much sun. 8 yr old: I’m gonna die of a heart attack. She sits down on a rock. I tell her I’m going to take her picture. She poses. Me: This is Turet Arch. 8 yr old: It should be called Tiring Arch. We approach a little hill with slick rock. 8 yr old: We’re going there? 5 yr old son: Look! No hands! We go to the visitors center to watch the introductory film so everyone can become Jr. Park rangers. 5 yr old: Is this 3D? We only hiked Park Avenue and The Windows. 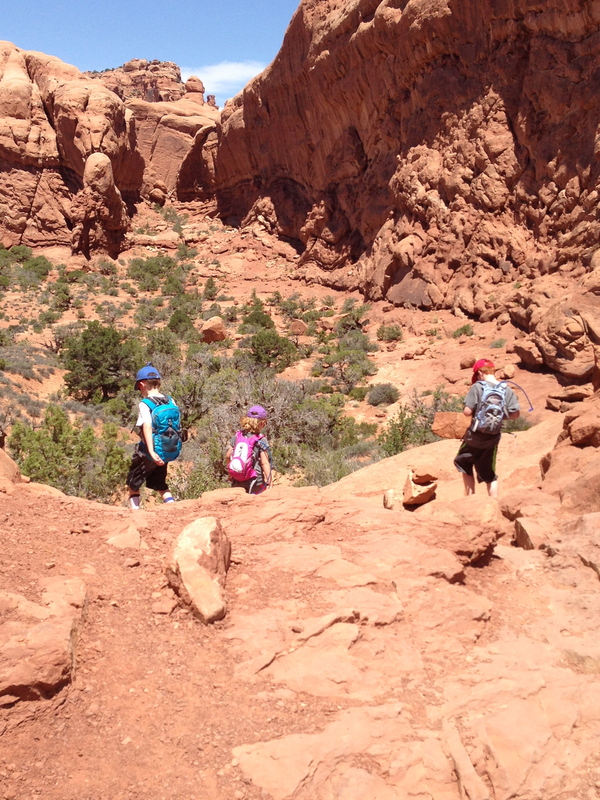 We walked around Balancing Rock and then headed back to Moab. We went to Milt’s for burgers and shakes, swimming at the pool, and a chuckwagon dinner. The next day we hiked Delicate Arch. On the way out of town we drove 3 miles to the middle of nowhere to see fossils still in the rocks. I almost got stuck in sand. I asked my kids if they liked the trip. 10 yr old: I liked the arches. 5 yr old: I liked the dinosaur fossils. 8 yr old: I liked everything. Except the hiking.